Electricity customers in the U.S. got good news last week. A new report from Accenture highlighted a potential revenue loss for U.S. utilities of $48 billion per year by 2025 due to distributed solar and energy efficiency. But where does that money go? 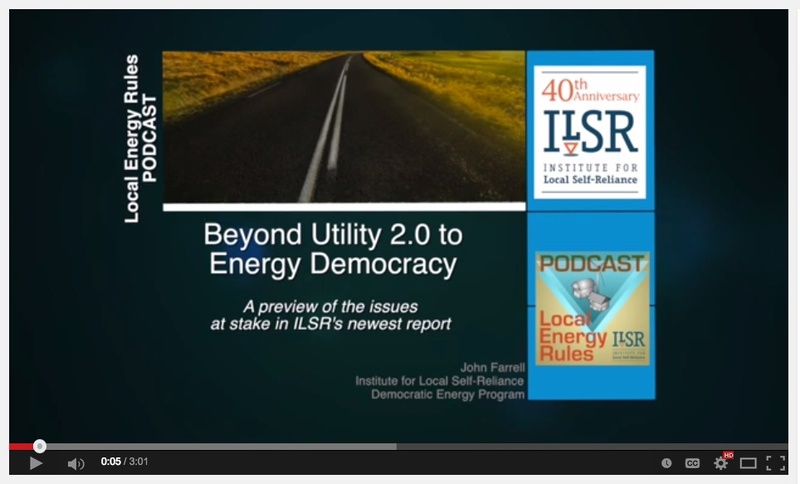 If we pursue a democratic energy system as outlined in ILSR’s new report (also released last week), it goes right into the pockets of utility customers. Read on for an explanation of how we can achieve energy democracy out of the turmoil of today’s electricity system. Why are U.S. electric utilities facing huge revenue losses? Because their business model, built around a 20th century centralized command-and-control electric utility, is increasingly outdated in an age when we can produce power on rooftops from ubiquitous sunshine and manage energy individually on ubiquitous smartphones. See the following timeline released in ILSR’s new report to understand the changes being wrought. 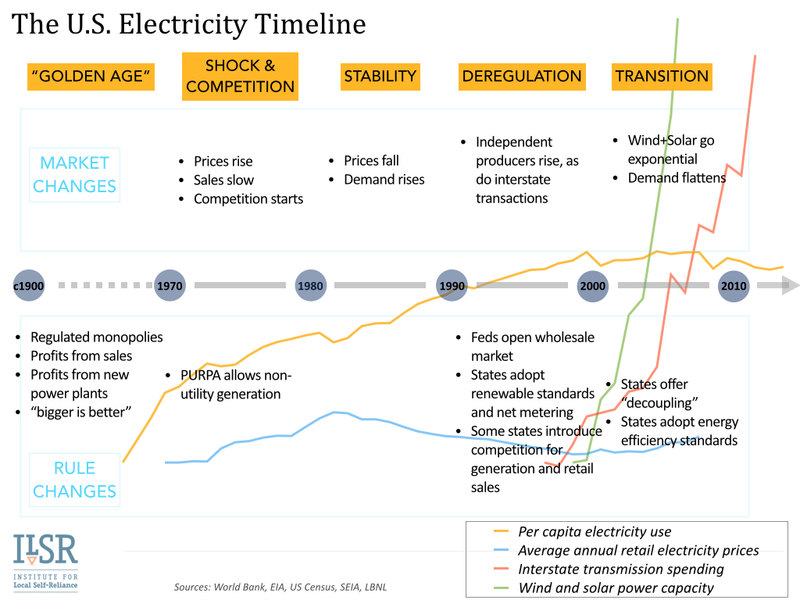 There have been three waves of change crashing over the electric utility system in the past 50 years: Shock & Competition, Deregulation, and Transition. The third wave, powered by distributed renewable energy and stagnant energy demand and aided by state regulation, isn’t going to recede. 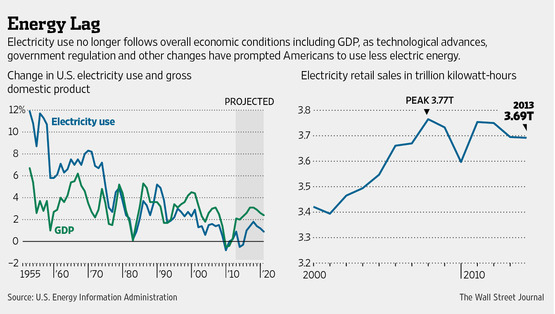 Already, the Wall Street Journal notes that the era of growing electricity sales is likely over. 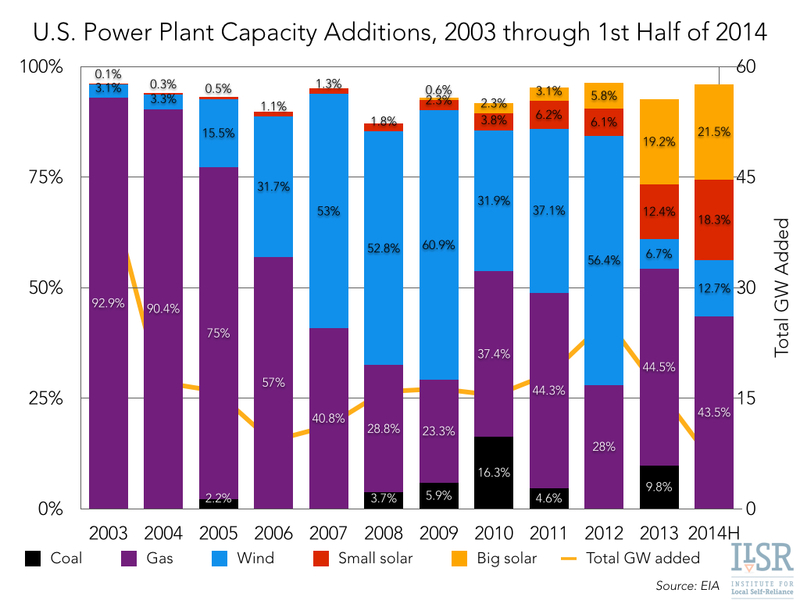 Not only is demand falling, but competition from renewable energy sources is growing. In the past few years, that competition isn’t just from other large power producers, but from utility customers themselves (see the growth of “small solar” in particular (and red), representing residential and commercial installations 1 megawatt and smaller). Utilities haven’t given up in the face of this threat. In fact, they’re often actively fighting it while they continue to invest in the infrastructure for last century’s grid (read more in our report). These battles are the origin of “Utility 2.0,” a business model discussion inside and outside of utilities that would allow electric companies to accommodate flat energy demand and rising customer energy production. It’s good policy, focused on shifting the principles of the electricity system to a low-carbon, flexible, and efficient one as well as shifting utility incentives to achieve these outcomes. But Utility 2.0 will prove inadequate if it remains indifferent to the flow of energy dollars out of communities (the $48 billion question). Already, 500,000 U.S. homes sport solar energy and it gets more affordable every year. Rooftop solar, smartphones, and widespread energy storage will give utility customers unprecedented opportunity to control their energy usage, and to capture their share of the nation’s energy dollars. A 2.0 utility business model that doesn’t accommodate this opportunity for local, equitable access to energy production and management will leave many U.S. electricity consumers deeply unsatisfied. That’s the central point of Utility 3.0, or as we call it, energy democracy. 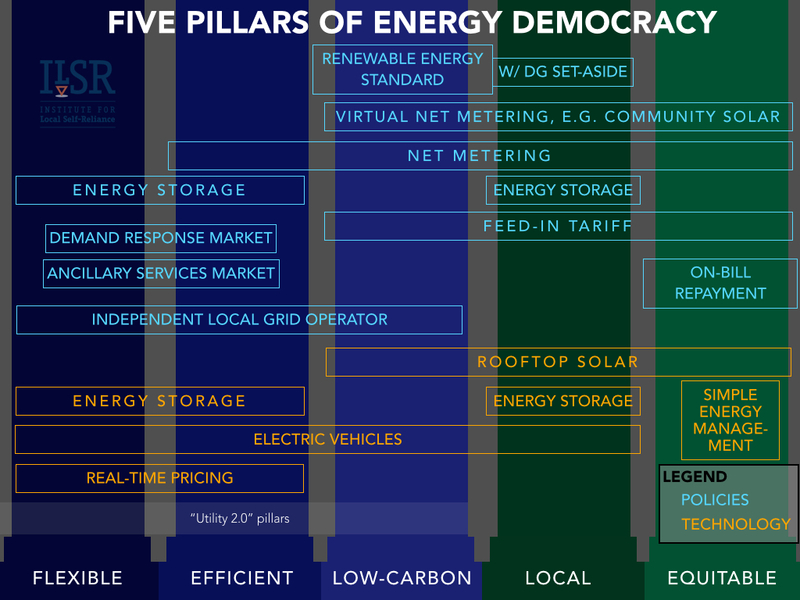 It adds two other principles – local control and equitable access – to the low-carbon, flexible, and efficient grid of the future to make the Five Pillars of Energy Democracy. The following graphic illustrates the principles of the ideal 21st century electricity system and how the policies of the electricity system contribute to achieving those desired outcomes. 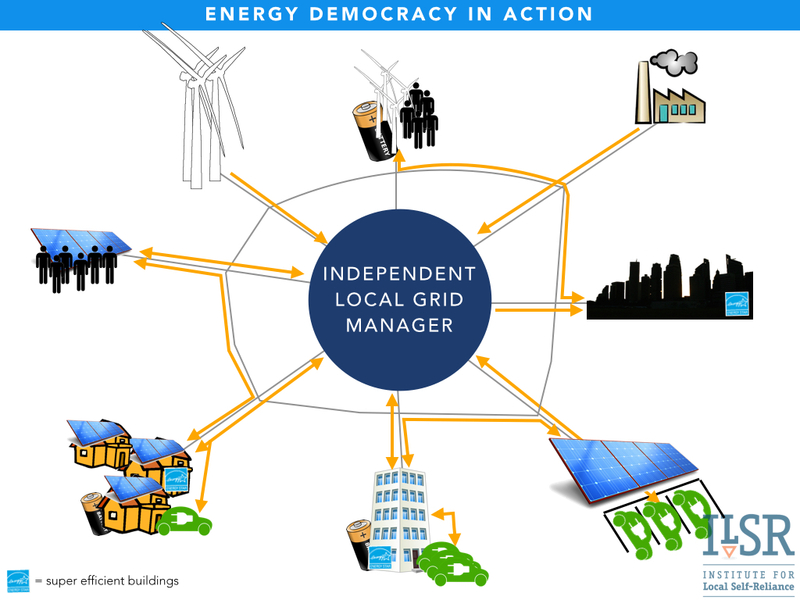 How do we get to energy democracy from where we are now? 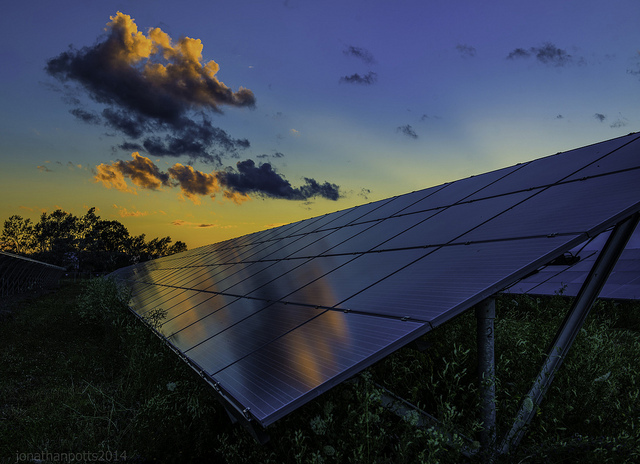 In Vermont, the state has already identified and adopted many of the key strategies and policies, from robust net metering to integrated distribution and transmission planning. They have an independent energy efficiency utility, and a feed-in tariff to encourage broader distributed renewable energy development. In New York, the state is Reforming the Energy Vision, and considering how to make an open and transparent marketplace that puts utility customers on an even footing with utilities in providing key energy services. The following graphic illustrates this concept. Neither state has unleashed a system with real “energy democracy” yet, but they’re pursuing the right principles and structure and policy that will lead in that direction. Will utilities survive this crashing wave of energy democracy? It depends on your definition of survive. Will they continue to profit from retaining control over the generation and transaction of power on the electricity system? Perhaps not. Could they profit from designing and deploying the infrastructure and software to make a democracy energy distribution system? Certainly. They just need a little vision. And we’ve got one to share.